The Fitbit Aria relies on the user’s home network to send all of his/her body and health metrics to his/her devices like laptops or smartphones for progress mapping and recording. It is compatible with any of the Fitbit trackers and supports up to 8 user profiles. All profiles are kept private so that users do not have to worry about their data being accessed without permission. 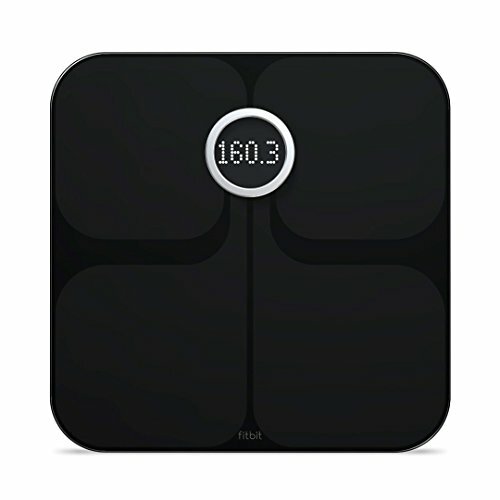 The Fitbit Aria is a handsome scale, although most people seem to find its black version preferable to its white version. Measurement-wise, it performs well, although only if one keeps in mind the usual caveats for digital scales and body fat estimators. Using it on an uneven or carpeted surface ruins the measurements, for instance, as does wearing metal while trying to get a body fat measurement. That aside, one does wish it came with more “thought-out” PC software. Fortunately, the setup for Android and iOS is far easier. Ultimately, it is a good scale to have if you want to make the most of your smart devices in order to keep better track of your physical state. The Aria is far from being the only “smart” and “wireless connectivity-capable” scale on the market right now. It may be useful to compare it to several of them in order to get a better idea of how it performs relative to its competitors. Two of those are going to be discussed here: the WiTscale S200 and the Easy@Home Body Fat Scale. 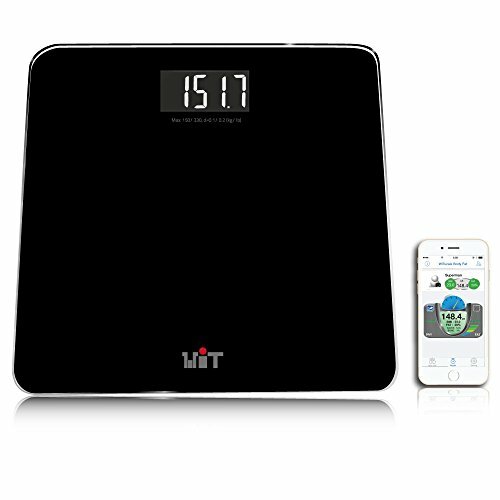 The WiTscale S200 is a cheap digital scale that uses Bluetooth connectivity to send your data to a phone with the Apple HealthKit app. Equipped with step-on, auto-shutdown, and auto-calibration technologies, it can also boast of taking the user’s BMI along with his weight. It can support a maximum of 330 lbs. The WiTscale is rather light on features than the Fitbit model, however, it is designed for a slightly different demographic and one more concerned with weight than anything else. In that respect, it is not a bad product at all and performs decently in most situations. It is not the most consistent scale around but provided the unit you use is properly aligned and set up, it does take reasonable readings. The fact that it uses Bluetooth means there is no need to have the Wi-Fi up when using it, and that can be convenient for some users. It also has a pretty attractive price tag, at least when comparing it to the other two models in this review. 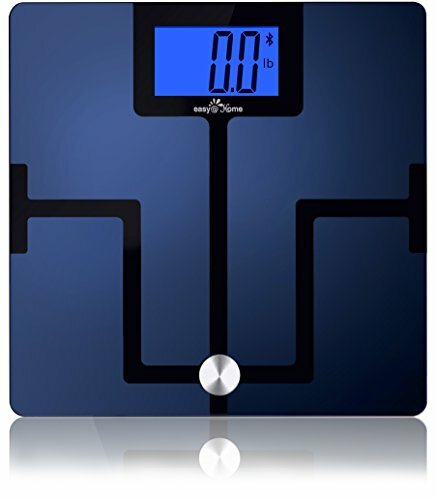 The Easy@Home Body Fat Digital Scale is capable of taking your weight, body fat percentage, visceral fat percentage, bone mass reading, body water reading, muscle mass reading, BMI and BMR. It has a 4.3 in backlit display and a tempered glass top. Like the Fitbit Aria, it can send data to a smart device, but it uses Bluetooth instead of Wi-Fi. This Easy@Home model is actually rather reasonably priced if you consider all that you get for its cost. First, there is Bluetooth connectivity and HealthKit compatibility. Then there is the medley of other physical condition metrics it offers besides weight. The very large backlit display only adds to all of that, as well as the modern styling. One should be wary of using it as a reliable body fat measurement tool, though as like most other scales that take that measure, it is not terrifically reliable. The WiTscale S200 is the weakest item of the three, being capable of taking only one’s weight and BMI. One might argue that is forgivable considering it is also the cheapest of them, however, there are a lot of other scales that take the same measurements and far more reliably for less cost. Granted, most of those scales will not have Bluetooth but then again, one wonders if Bluetooth is really needed with a scale that only measures weight and BMI. The stiff competitor for the Fitbit Aria is the Easy@Home model which does a lot of what the Aria does for half the price. That is a big inducement to choose it over the Aria, but there are some caveats that go with it. First, although both of them take body fat measurements, it tends to record ones further off from DEXA readings than the Aria. The Easy@Home also has some issues in its Android software which makes using it less than smooth in some cases. The Fitbit remains the best buy of the three despite its price tag because of overall quality and ease of customer experience. It could be easier to set up, yes, but it is actually relatively painless to work after that initial step. It also has the best compatibility of all three devices in being compatible with laptops and desktops as well as smartphones. All in all, power users will likely enjoy it best, especially if they are serious about their data tracking. The Most Accurate Scale Reviews – 5 Digital Scales to Check Out Kedsum Digital Kitchen Scale Review How to Reset a Taylor Scale: Tips on Using The Scale Properly How to Weigh a Fish With a Hook Scale?